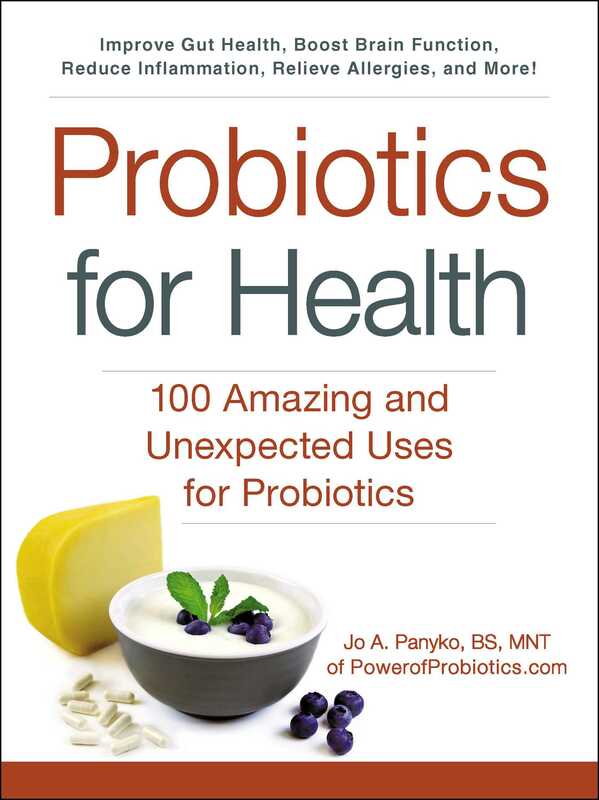 Jo A. Panyko is a Master Nutrition Therapist and author of two books about probiotics. She is a professional member of the National Association of Nutrition Professionals (NANP) and works as a functional medicine nutrition therapist (nutritionist) at her company, Chrysalis Nutrition and Health. She writes about how to be healthy with probiotics on her website, Power of Probiotics. She is the author of Probiotics for Health. "Nutritional therapist Jo A. Panyko offers 100 ways to make sure of the powerful health benefits of probiotics … in this informative new guide. Panyko's advice incorporates the latest research to bring readers a cure for what ails them. This book's compact size makes it the perfect go-anywhere companion. Those looking for a safe, natural relief may find just what they need in Panyko's science-based approach."